a usb memory stick containing imagex.exe file. You can easily find the imagex.exe file from google. Search it. 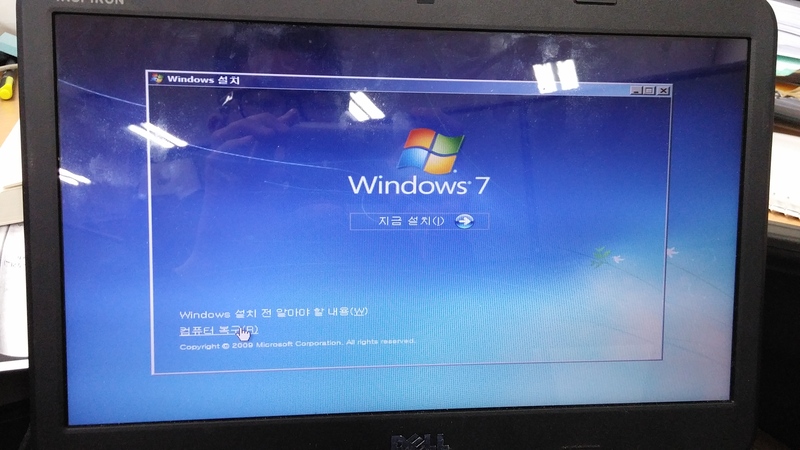 windows install CD. Or a usb stick. Just need this to bootload and access windows recovery mode where I will be using the command prompt to configure the installation. 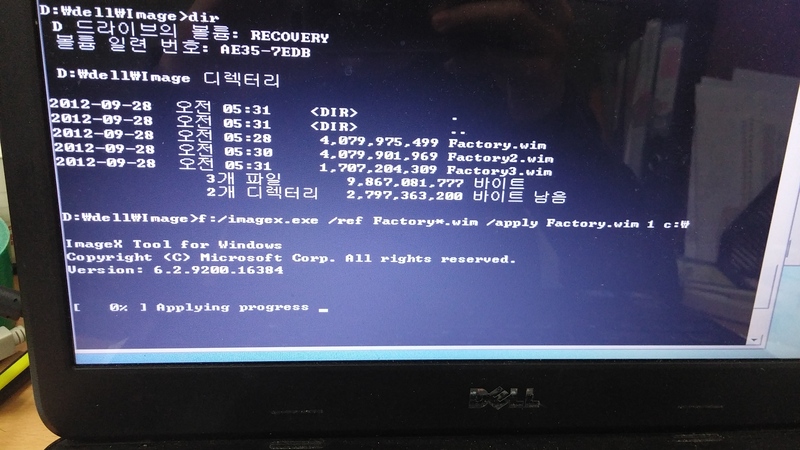 Before diving into this, I am expecting to use the *.wim files(windows image files) of the factory version windows inside the recovery partition. You should confirm the existence of these files and its location. For this preparation, check out this post. In this walkthrough I’ll be using a memory stick containing imagex.exe, and a windows 7 install CD that was lying around on my desk. 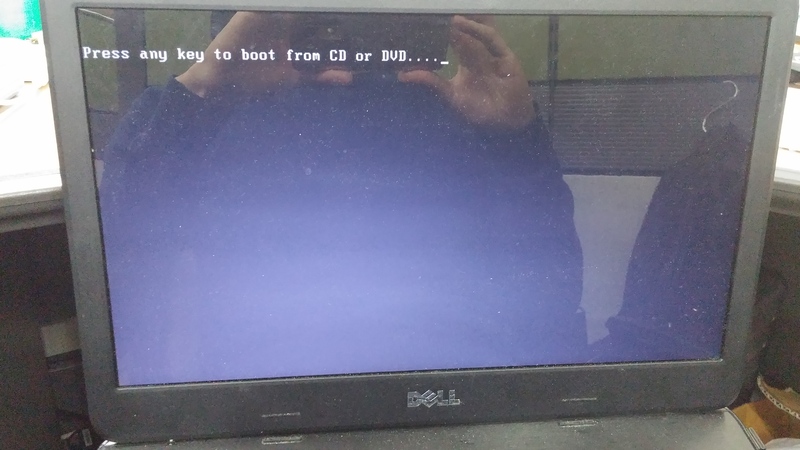 Since my laptop should bootload the windows install CD, I configured the BIOS boot priority so that the CD/DVD ROM is the first in line. Then, insert the install CD, plug in the usb stick and restart your computer. △ Look at the cursor. 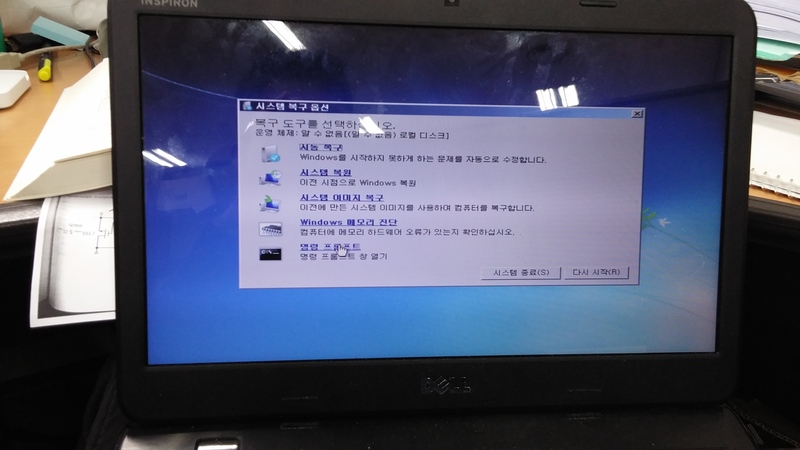 Although its written in Korean, it means ‘go to recovery mode’. Click this. △ This is the window you’re looking for. From the previous step where you click the ‘go to recovery mode’, it might not lead you to this screen right away. If so, click thing like ‘next’ a few times and close the windows a few times and you’ll eventually end up here. Just get here, alright? 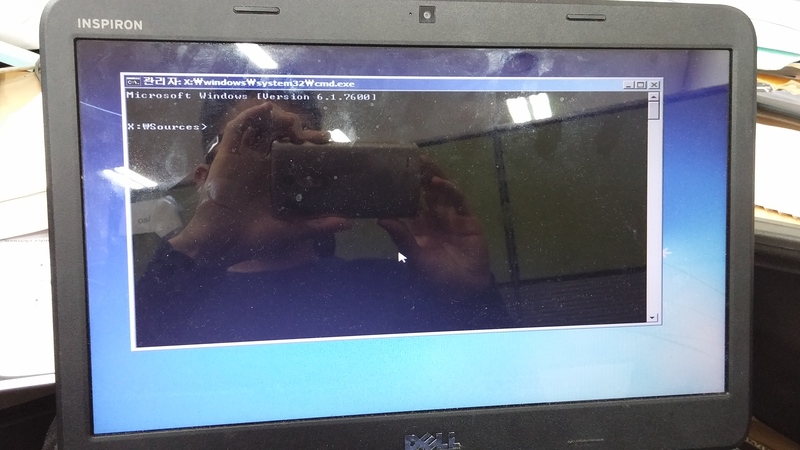 From here click the very bottom option which will open up a command prompt. 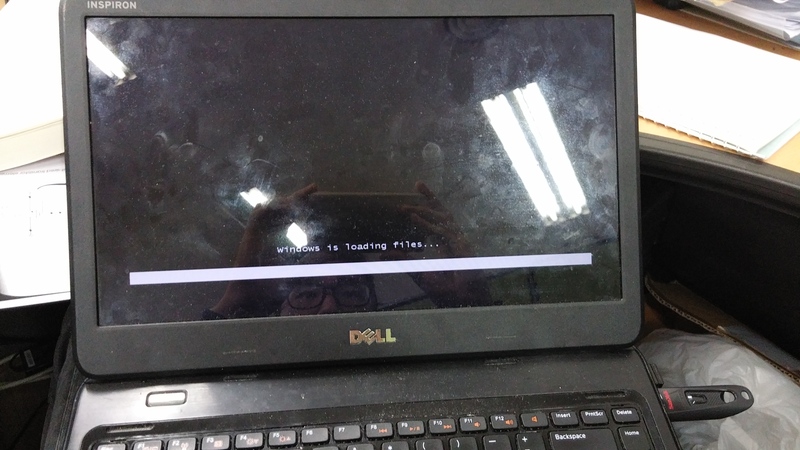 △ This is the command prompt. △ Now this is important. type drive letters like ‘a:’ ‘b:’ ‘c:’ ‘d:’ … and remember what letter corresponds to which partition. From this screenshot, There’s no B: drive. 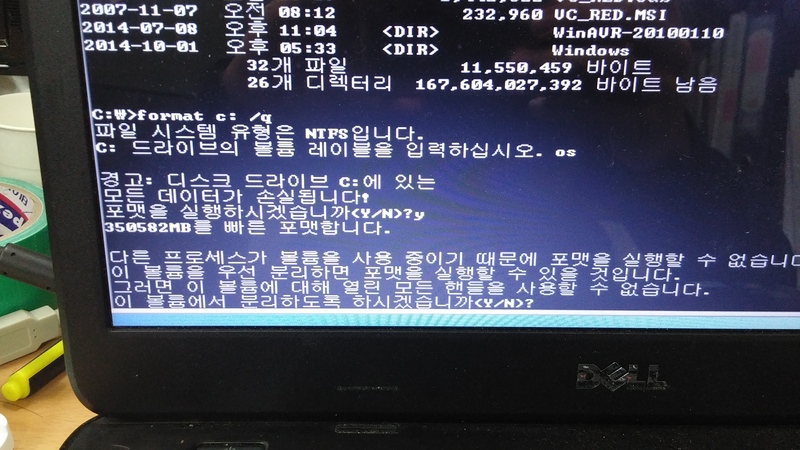 C; drive exists and by typing ‘dir’ I can see the contents. I have confirmed that c: drive is the original windows OS. 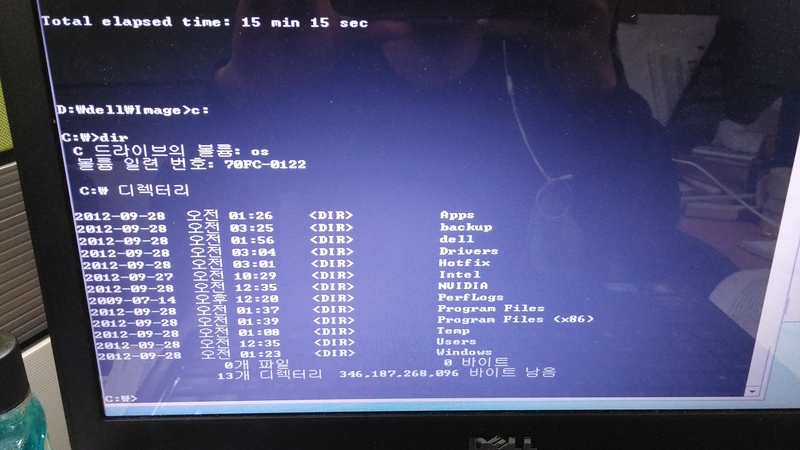 △ Confirming that d: drive corresponds to the recovery partition. △ Confirmed that f: drive is the usb memory stick. You can see that it contains the imagex.exe file. will delete everything contained in c: drive. This is why you should know which drive letter represents which partition/volume. △ If you execute the format command it will ask you some y/n questions. Just say yes and type in any name for the newly formatted partition. I just named it ‘os’. 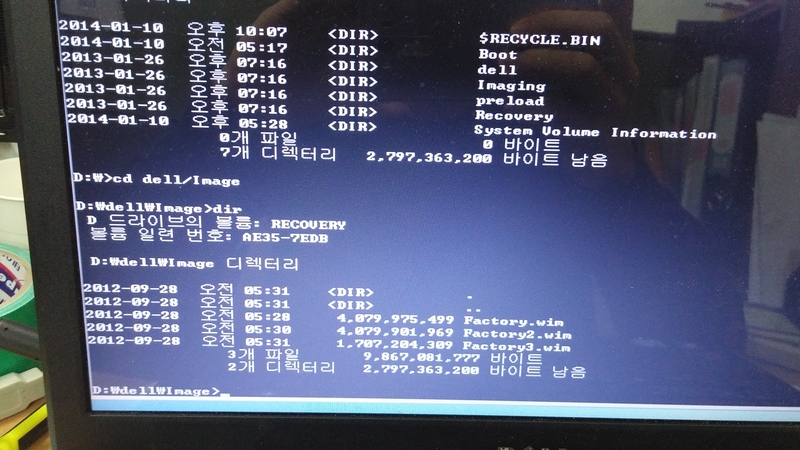 △ After the format is complete go to the directory where the .wim files of the windows recovery images are. In my case the below commands did the job. 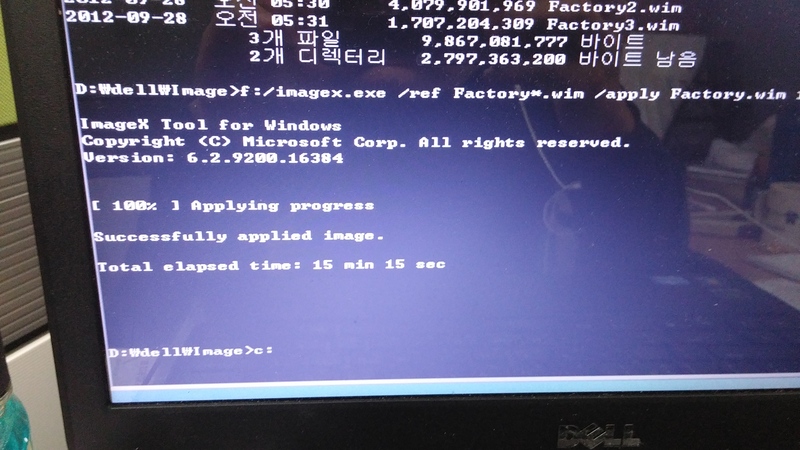 f:/imagex.exe : you are calling executing the imagex.exe file in f: drive. 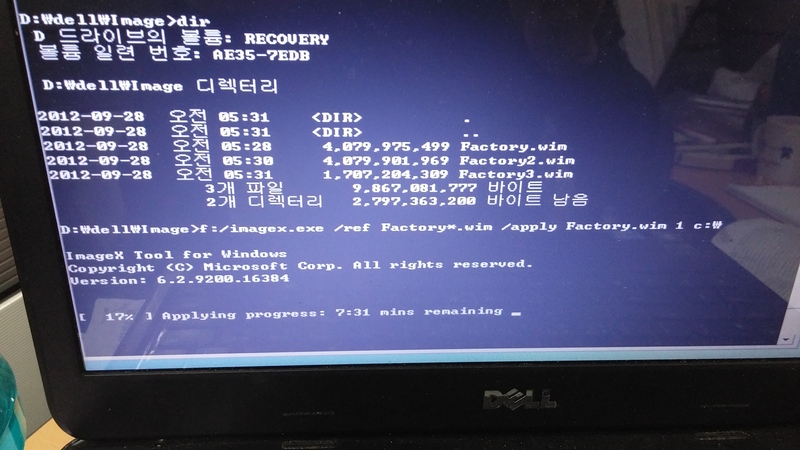 /ref Factory*.wim : ordering to consider not just Factory.wim but also Factory2.wim and Factory3.wim files to since these are all part of the recovery images. I guess the manufacturer could have just made a single image file named ‘Factory.wim’ but for some reason it fragmented it into three files. Don’t ask me why. But if you also see that your images are fragmented like this, you need to include this phrase in your command. /apply Factory.wim 1 c:\ : orders to use the image file Factory.wim. ‘1’ indicates the volume number but even I don’t know if this is necessary. Just do it just in case. 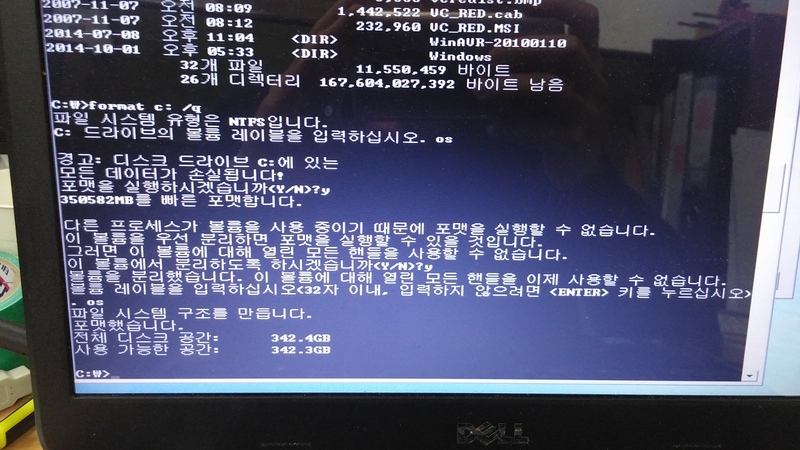 c:\ indicates that the image should be extracted to c: drive. the extraction process will start immediately. △ you can see the progress and remaining time. If your imagex.exe command is somehow wrong, the process could stop in the middle and show error messages. 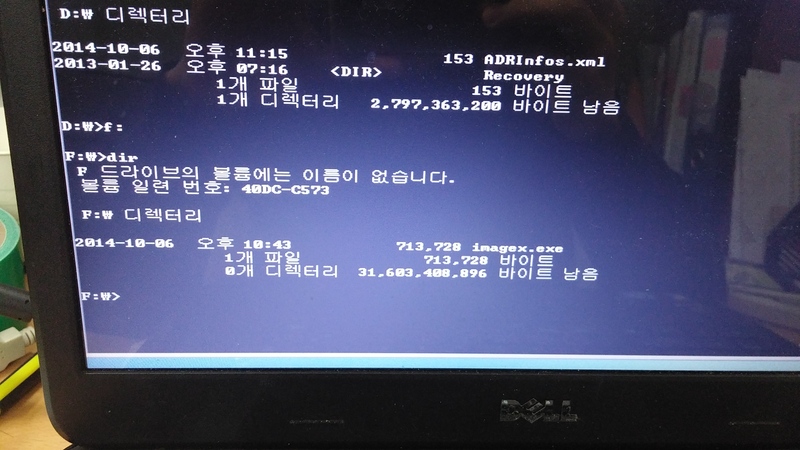 △ Go to c: drive and type ‘dir’ and you should see a new set of files consisting the new windows OS partition. △ Now exit the windows install cd recovery mode and restart the computer. 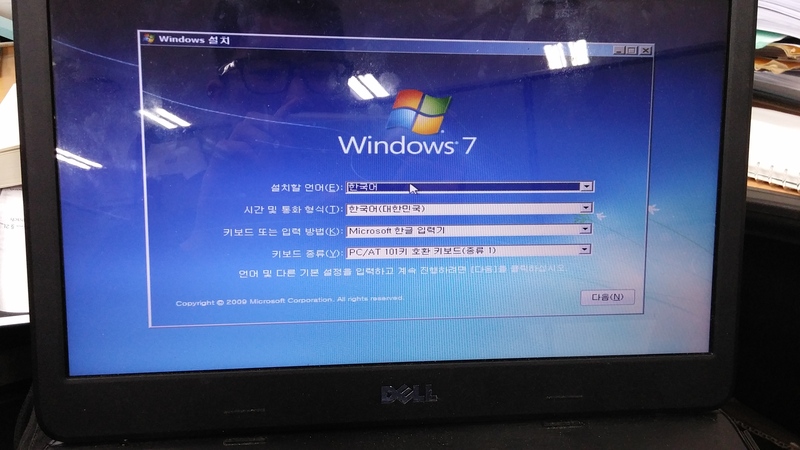 Don’t forget to remove the install cd and usb stick before rebooting!! The image files are broken up to fit on DVD’s if you wanted to save them…….If you run Imagex.exe and CREATE an image file you can create one file for the entire OS and your files ie. 89GB. 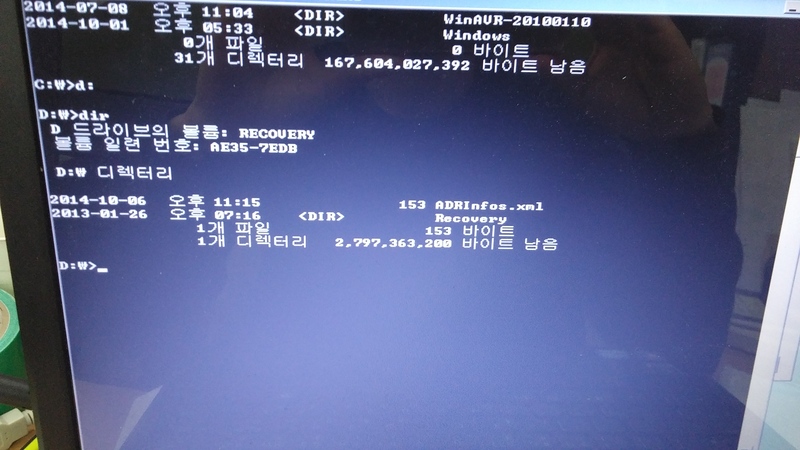 Being able to recover your computer when you cannot access the built in recovery partition this way is the way to go. I have done it may times with success. 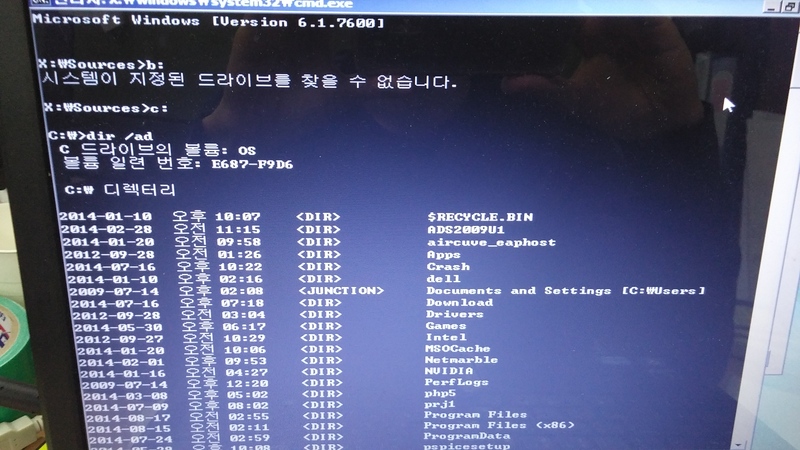 Hirens boot disk contains Gimagex, a graphical program like a windows program that you can browse to the source and target easily. Image files DO NOT OVERWRITE each other they distribute files to the hierarchy they were made from…….